Gellitex can be used to decorate almost any dry, clean transparent surface. The gel will give you a 3D effect finish and can be applied using a palette knife sponge or paint brush and can even be used with stencils. 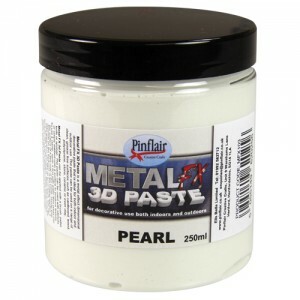 Ensure all applica..
Metal FX 3D Paste is a metal effect dimensional decorative paste that is ideal for both indoor and outdoor use. 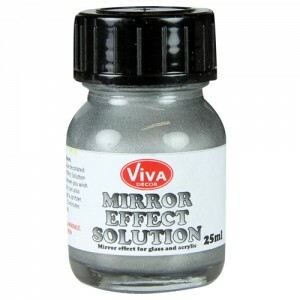 The paste can be used on a range of clean, grease free surfaces such as cardboard, wood, polystyrene, stone, ceramic or eve..
Mirror effect for glass and acrylic. Suitable for all transparent sufaces. Shake well before use. Clean surface to be decorated using alcohol solution first. 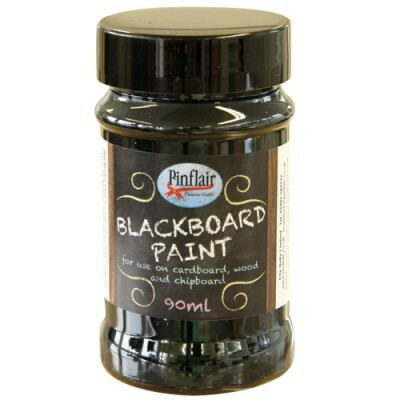 Dab Mirror Effect Solution with a sponge on the reverse side of whatever you w..
Pinflair Blackboard Paint Blackboard Paint is a water based quick drying paint that can be applied to cardboard, wood and chipboard. When dry the paint can be written on using chalk. 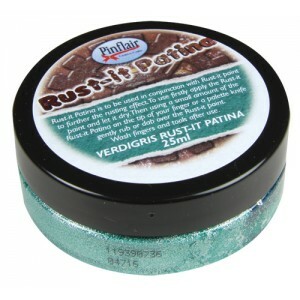 Stir well before use and apply the paint in two steps using a..
Pinflair Rust-It Brown. Stir paint before use. 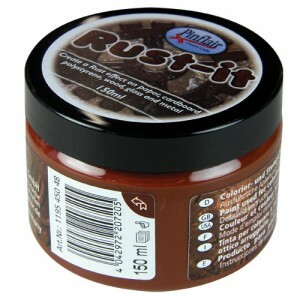 Rust-it can be applied with a sponge or palette knife to paper cardboard, polystyrene, wood, glass and metal. The more coats applied the darker the colour will get. 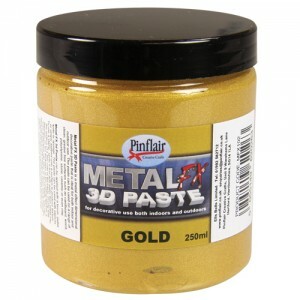 For best results put a thin layer o..
Pinflair Rust-It Orange. Stir paint before use. 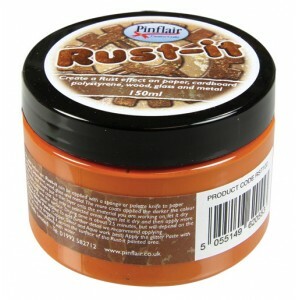 Rust-it can be applied with a sponge or palette knife to paper cardboard, polystyrene, wood, glass and metal. The more coats applied the darker the colour will get. 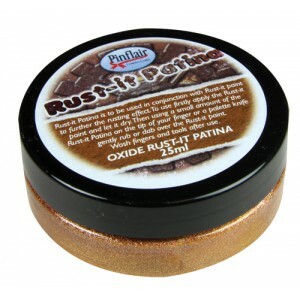 For best results put a thin layer ..
Rust-it Patina is to be used in conjunction with Rust-it paint to further the rusting effect. To use firstly apply the Rust-it paint and let it dry. Then using a small amount of the Rust-it Patina on the tip of your finger or a palette knife&nbs..